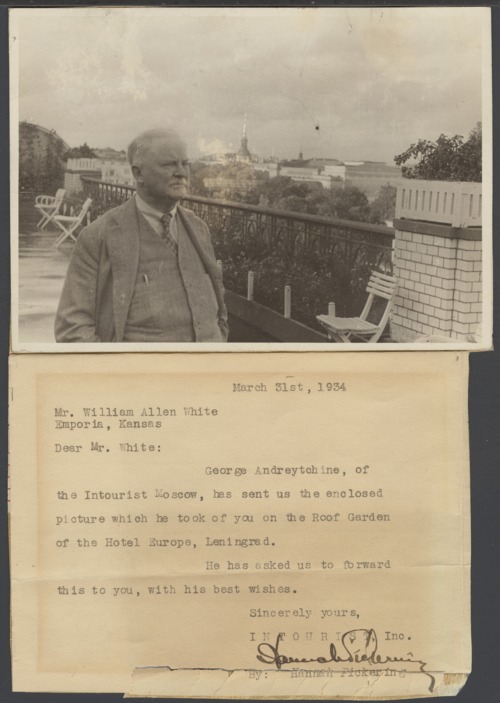 This is a photograph of William Allen White on the Hotel Europe's roof garden in Leningrad, Russia. There is an attached note from Hannah Pickering, Intourist, Inc., dated March 31, 1934, stating the photograph was sent by George Andreytchine of Intourist Moscow. White was the long time editor of the Emporia Gazette.